Who Could Step In as Britain’s Emergency Prime Minister? (Bloomberg) -- Prime Minister Theresa May is fighting for her political life -- again -- with several U.K. newspapers reporting an open revolt within her government over her handling of Brexit. If she is forced out in the coming days, her increasingly divided Conservative Party will need a new leader. Here’s a look at two possible candidates to serve as a caretaker prime minister. Both said Sunday they backed May. David Lidington -- The Reluctant Stopgap? 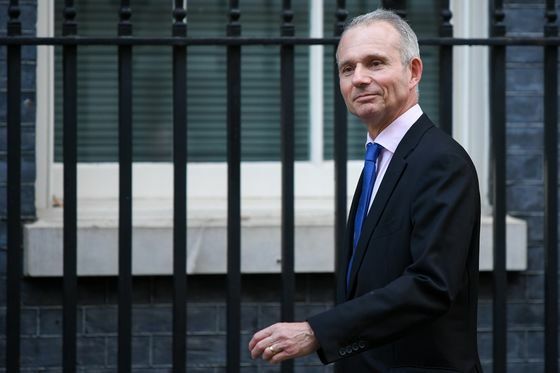 A number of reports named David Lidington, 62, the cabinet office minister and May’s de facto deputy, as the man most likely to temporarily take the job until there’s a formal leadership election. While relatively unknown outside the corridors of government in Westminster, Lidington has been one of May’s staunchest allies in the cabinet, and is seen a remainer, which could lower his chances of being accepted by the euroskeptic wing of the party. Lidington has been in Parliament since 1992 and served as Europe minister throughout David Cameron’s government, which ended after the 2016 Brexit referendum. Before that he worked for BP Plc and Rio Tinto Plc. His website also states he has the “rare claim” of captaining two teams to victory on the BBC’s University Challenge quiz show -- winning while at Cambridge University in 1979 and in a 2002 Champion of Champions tournament. 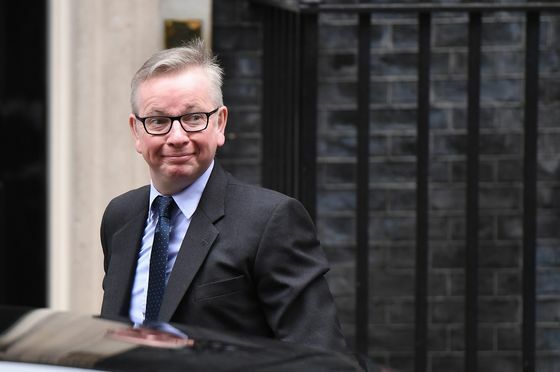 In 2016 following the Brexit referendum, Michael Gove, 51, was the backstabbing traitor in newspaper cartoons after he withdrew his support from long-time friend Boris Johnson to seek the Tory leadership himself. He failed. After a year on the backbenches, May brought him back as an unexpectedly cuddly environment secretary, banning puppy-farming and imposing a war on plastics. Considered to be more of a vision than details man, it’s been argued he’s too bad with numbers ever to be Chancellor of the Exchequer. Now he is being touted as a potential caretaker leader who can deliver Brexit if May is ousted. Gove’s a long-time Brexiteer — unlike other more recent converts — but his refusal to quit over May’s compromise deal angered many in the euroskeptic camp. The EU, too, may question how reliable he is after he pointed out Britain could later try to remake whatever Brexit deal it signs. Who’s Who in Theresa May’s Brexit Cabinet?